This past week, Wellesley athletics have competed in multiple matches with tennis, track and field, softball, lacrosse and crew opening their seasons with strong performances across the country. Tennis traveled to the United States Tennis Association (USTA) National Campus in Orlando, Florida to compete against Denison University, University of Wisconsin-Oshkosh and Pacific University in a series of matches from March 22-25. In their opening match against Denison, the Blue suffered a disappointing 9-0 loss that saw Denison sweep Wellesley in both singles and doubles matches. However, the Blue bounced back in their next match against Wisconsin-Oshkosh when Wellesley players defeated their opponents in every match earning them a convincing 9-0 victory. After these two matches, Wellesley was 1-1 on the break heading into their final match against Pacific University on March 25. Wellesley swept their opponent for the second time during this series with a 9-0 win over Pacific University. Like in their match against Wisconsin-Oshkosh, Wellesley defeated the Boxers in all three doubles matches and all six singles matches. The Blue finished their trip 7-3 on the season ranked No. 39 and returned to Wellesley for their March 30 home opener against Smith College. Wellesley tennis improved their New England Women’s and Men’s Athletic Conference (NEWMAC) record to 2-0 and their season record to 8-3 after their dominant 9-0 win over Smith College. The Blue continue their NEWMAC play in a match at Clark University on April 2, 2019. Wellesley crew competed at the Washington College Invitational on March 29. The Blue dominated the field and finished second overall just one point behind the Washington College team with 113 points. Despite not finishing first in the Points Trophy standings, the Blue was victorious in the morning heats to qualify all four boats to the Grand Finals where they won first place in the Varsity Eight Grand Final and finished with three of the top-four boats in the Second Varsity Eight Grand Final. Crew returns to action on April 6 in Geneva, New York. Wellesley lacrosse opened their spring break play in a match against Babson on March 23. The Blue lost 17-6 in their first NEWMAC match of the season. 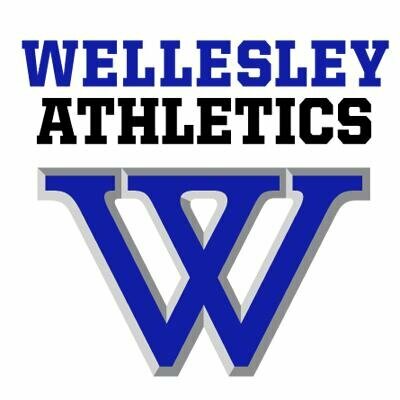 Dacia Persky ’19 led Wellesley with two goals and two assists and Eleanor Mallett ’22, Izzy Burdick ’22, Mariana Hernandez ’19 and Carson Dennis ’21 each scored goals for Wellesley. The Blue then dropped a non-conference match against Rhodes College. Persky scored another pair of goals but the Blue was outshot 30-22 with Rhodes taking a 12-4 lead at the half and finished strong with a final score of 19-8. Wellesley bounced back in their following match against Smith College on March 30 for their first NEWMAC win of the season. The Blue was on the board 47 seconds into the game with a goal by Eleanor Mallett ’22 who went on to score six total goals, followed by Persky who scored five goals and Lorna Li ’22, who made a career high of 15 saves in the game. The Blue’s next game is against Framingham State University on April 1. Wellesley softball traveled to Clermont, Florida to open their spring 2019 season on March 22. The Blue began with a 2-1 victory over State University of New York (SUNY) Geneseo and then dropped one to Trinity College in a 16-8 loss. In the match against SUNY Geneseo, Sydney Hopper ’19 surrendered just one run and five hits over seven innings while Gen Brittingham ’21 finished 2 for 3 hits with a triple, RBI (run batted in) and a run. The Blue continued to win on March 23 in their matches against Colby College, 6-1, and the University of Wisconsin-Stout, 4-1 to advance to 3-1 overall. Hayley Moniz ’22 surrendered just one run against Colby with strong performances by Brittingham, Autumn Brown ’20 and Kendall Smith ’20. Hopper continued her impressive performance against Wisconsin-Stout and struck out eight batters with no earned runs in her seven innings, and allowed just six hits. Unfortunately, Wellesley lost their two following matches against Wisconsin-Whitewater University in a 7-1 contest and Buffalo State University with a score of 11-3. They finished their trip with a record of 4-4 after defeating Thomas University, 2-1, and losing in their final match to Oberlin College, 13-10. Blue softball returned to Wellesley to play Babson in a doubleheader NEWMAC match. The match was split with Babson defeating Wellesley, 10-2, before the Blue fought back with a subsequent 7-2 victory. Wellesley is now 5-6 on the season and 1-2 in NEWMAC play. The Blue returns to action on April 3 against Brandeis in a non-conference match. Wellesley track and field competed in their first outdoor meet of the season in Atlanta, Georgia at the Emory Invitational at Emory University. Multiple athletes finished in the top ten of their races, with day one featuring Maya Bradbury ’22 who finished ninth in the 5000m with a time of 18:51 and Cathy Chen ’19 who finished ninth in the 400m Hurdles (1:08). Day two saw Elizabeth Wegman ’20 finish in second place with a time of 5:03.84 in the 1500m followed closely by Samara Shaz ’21 who finished fifth in the same event (5:08.40). Helen Anderson finished in seventh place out of 55 in the shot put with a distance of 11.33m. Wellesley track and field will compete again on Saturday, April 6 at the U.S. Coast Guard Invitational. Next articleMelatonin supplements spike in popularity — but what are the actual benefits?